We all know that Chicago is a great city for architecture and Deco design. 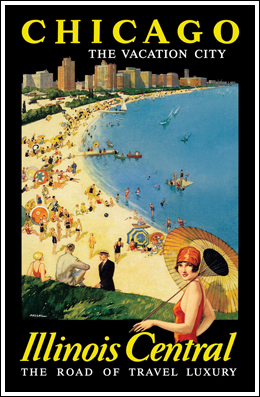 The Illinois Central Railroad made Chicago a great American destination, so have fun in the sun on the shores of Lake Michigan. Poster comes matted in a simple black metal frame and measures 11-1/2” X 17-1/2".